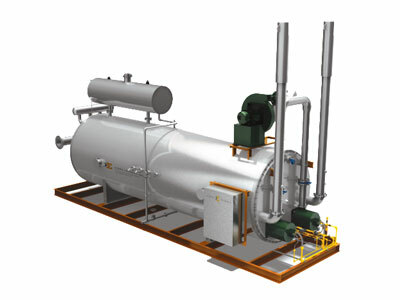 A process bath heater is a simple and safe method for indirectly heating various process mediums. A bath solution is heated by a fire tube style burner submerged at the bottom of the heater vessel. The bath solution then heats a submerged process coil, in which the flowing process medium is then heated.